Over 30 pre-match markets available on each game in the English Premier League! Pre-match and live betting odds available on all IPL matches! BET ON NUMBERS AND WATCH LIVE DRAWS EVERY 5 MINUTES! Available at over 135,000 flash traders and PEP stores nationwide! Log in and place your bets on European Elite Soccer Leagues! We've updated the way you earn loyalty points! Click here for more details. Never a dull moment with exciting markets to bet on during the game! REFER A FRIEND AND RECEIVE R25 TS AND CS APPLY. From your very first, real money bet you can start earning loyalty points based on the amount staked. Interbet offers a wide range of betting opportunities, including Horse Racing, Soccer, Tennis, Cricket, Golf, Boxing, Rugby, Motorsport, American Football, Basketball, Cycling, and more. Use the exchange to place bets with South Africa's leading bookmakers - consistently offering the best Odds by far. You're guaranteed the best race-time odds which means you'll always win bigger with us. Why Interbet? Bet conveniently and securely with the leading online betting site. Interbet gives you exclusive access to tote bets with TAB and Fixed-Odds betting – an elite all-inclusive offering to rival all others. Your betting takes place anonymously, guaranteeing your betting action remains private and confidential. At Interbet, you will have access to a huge range of markets and events on offer. Live Betting markets allow you thrilling, competitive bets while the games are on! Know your Soccer? Visit our Soccer Zone for the best Odds on your favourite league games. Live Betting soccer bets will ensure your game-time expertise is rewarded with minute-by-minute betting. Banking? Interbet offers numerous banking options that are both convenient and secure to facilitate all transfers with the utmost integrity. P128-bit SSL Digital Encryption is used to protect the details of your electronic transactions. Need Help? Our Guest Hosts are ready to assist - contact us by Live Chat, Phone or Email. Copyright 2005-2008© Interbet All rights reserved. (a) No persons under the age of 18 are permitted to gamble. (b) Interbet International (Pty) Ltd is Licensed by the Western Cape Gambling and Racing Board as both a bookmaker and a manufacturer. 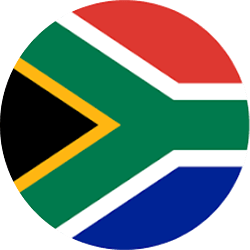 Interbet software is certified by the South African Bureau of Standards in terms of SABS 1718 part 4. (d) Winners know when to stop.